It’s almost Dr. Seuss’s birthday, so we have been reading some of our favorite Dr. Seuss books. Although Hand, Hand, Fingers, Thumb was actually written by Al Perkins, we associate it with Dr. Seuss. This book has been a favorite of both of my girls since they were babies. Its rhythm just makes your toes start to tap, and we have always played along as the monkeys drum and monkeys hum. I thought I would share some of our favorite DIY Drum ideas to help you hum and drum along, too. While it’s fun to make something together, it can also be just as exciting to drum on what you’ve already got…think the floor, the table, pots and pans, your legs. Your little ones might love exploring the different sounds you can make as you test out different surfaces throughout your house. Once your done with those explorations you might enjoy some of these ideas. By far the easiest drum we’ve made is one that we did at our local story time. 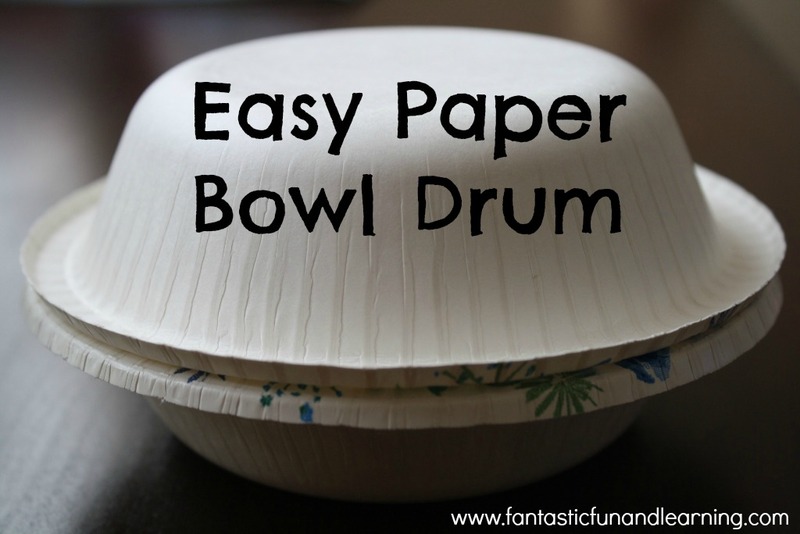 Simply staple two paper bowls together, and you’re done! You can add beans or something inside if you want to test out different sounds, but my kids loved them with just the bowls. We also spent some time decorating and personalizing our bowl drums. 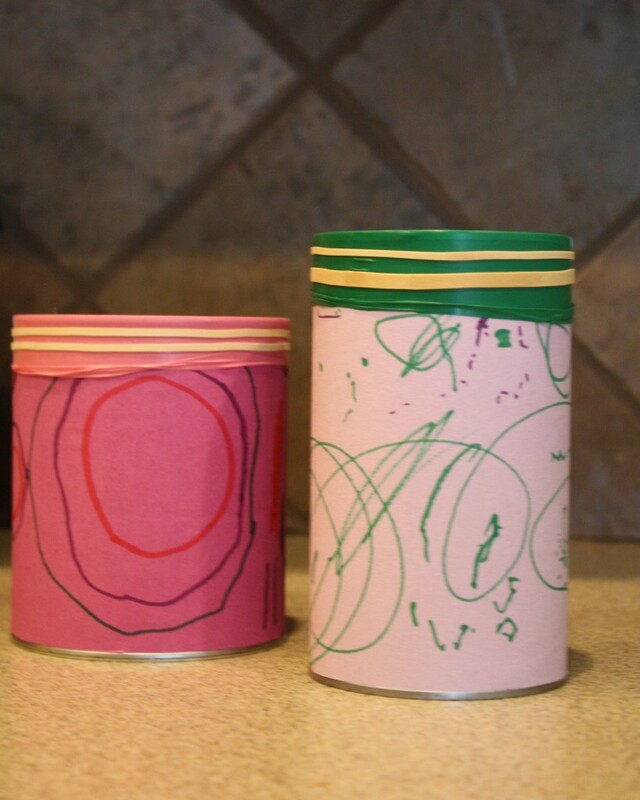 In the past we have also made these tin can drums using balloons and rubber bands. Red Ted Art made terrific drums out of formula tins or old paint cans. I love how these oatmeal canister drums are made with a strap for a marching band style drum. These duct tape drums are a little more elaborate than the others, but they seem like they would hold up to a lot of drum practice. Add in a little literacy, too! When I can I try to incorporate as much learning into activities as possible. I absolutely love the idea of using drums to practice syllables. Check out the full post for a book to read, a drum to make, and ideas for learning about syllables. Whatever you find or make to drum on, we hope you have fun! You can find more book activities and things to do with kids on my Pinterest Boards. Thanks for the great ideas! I made the paper bowl drums today in the parent & me music class I teach. The kids loved it and enjoyed drumming along as I read Hand, Hand, Fingers, Thumb. Since the kids are young, we used colorful duct tape around the edges instead of staples and the kids colored on their drums to decorate them. What a great idea to use colorful duct tape! I bet the kids loved the extra splash of color, too. These would be a great activity for our occupational therapy/physical therapy treatment groups in preschool. 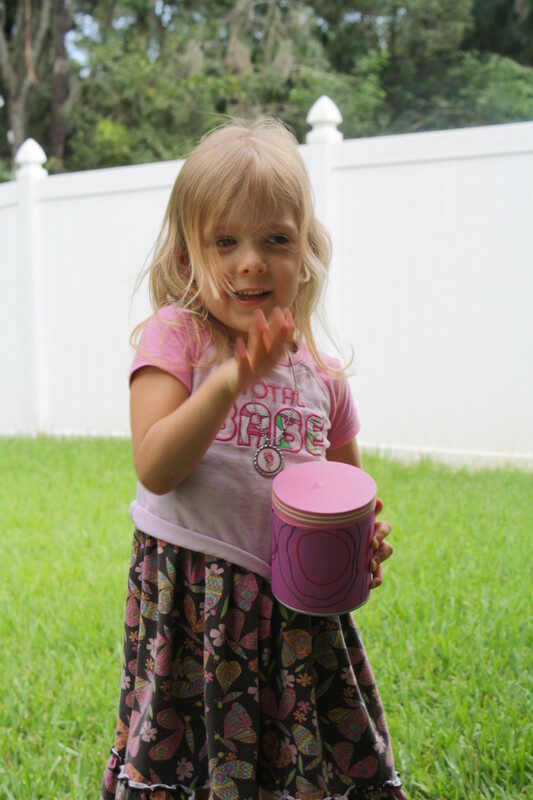 Great to pair the fine motor skill work for making the drums with some fun gross motor: dancing/moving/shaking! Thanks for sharing! Thank you for pointing out that connection! Cute post! One can never go wrong with a homemade drum! Thanks! We do love making music around here, and drums are always a hit. We love this book. Thanks for all the ideas for simple drums! Both of my girls love this book, too. Glad you liked the ideas. Every kid loves a drum! Thanks for sharing at The Children’s Bookshelf. I think you might be right. At least I know my kids do! This looks like a fun way to make music. I have shared this post on Pinterest and Facebook. It seems my kids always love to make music! I love the simplicity of these drums. Thanks for sharing. I know what you mean about Dr Seuss books. I always think of Are You My Mother as a Dr Seuss-type book, even though P.D.Eastman wrote it. It’s a firm favourite but I have to admit, your great drum idea is tempting me over to Hand, Hand, Fingers Thumb!